1506357091 –Politics of the Administrative Process shows how efficient public administration requires a delicate balance–the bureaucracy must be powerful enough to be effective, but also accountable to elected officials and citizens. Author Don Kettl gives students a realistic, relevant, and well-researched view of the field in this reader-friendly best seller. 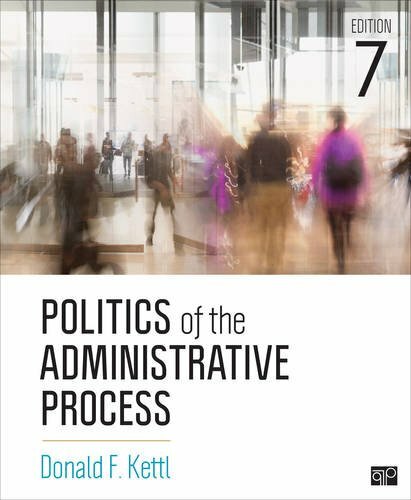 With its engaging vignettes, rich examples and a unique focus on policymaking and politics, the Seventh Edition continues its strong emphasis on politics, accountability, and performance. This new edition has been thoroughly updated with new scholarship, data, events, and case studies, giving students multiple opportunities to apply ideas and analysis as they read.